A couple of us DMMers were driving down Saginaw Street in Pontiac when, for the first time, we saw a parking meter attendant issuing tickets and taking photos of the backs of vehicles or at least typing down license plate numbers of parking meter violations. As most of you know, we at DMM think that parking meters that require payment after 5:00 PM in the downtown area of a city that is striving to make a comeback is a terrible idea. Unfortunately, the Pontiac Downtown Business Association (PDBA) has set a requirement for payment until 11:00 PM at night…in Pontiac…we must be the new New York! The most cited reason for the parking meters in the first place was to stop downtown employees from utilizing all the parking during business hours and keeping potential patrons from having a place to park. OK, we’re good with that. However, those people aren’t for the most part parking there after 5 or 5:30 PM. So why the payments until 11:00 PM? Have you ever been in downtown Pontiac after 11? It is utterly dead unless something is going on at the Crofoot Ballroom. Another excuse for the meters is that Royal Oak and Birmingham have parking meters. Yes, yes they do. They also have parking garages with two free hours of parking, not to mention that they are not trying to recover from having almost no businesses downtown that would attract people from the surrounding areas. As far as we at DMM are concerned, all this metering does is discourage people from coming to downtown and will shortly hurt business rather than helping it. Frankly, we haven’t been to Downtown 51 Grill since it was implemented, down from once or twice a week. So I decided to check with the new attendant about the percentage of tickets he was writing, since it was about 7:15, there was a concert at Crofoot, and a lot of the parking spots were filled. He was, by the way, a really nice and decent guy. Long story short, as I was approaching him he was ticketing a lady who’s meter had expired three minutes earlier and she was also approaching him. She had just eaten at Downtown 51 Grill, which is yummy, btw. This new parking system was supposed to have sent her a text message warning her that her time was running out and, naturally, it did not. Being a great guy, he let her put MORE MONEY into the meter and then didn’t ticket her. Bear in mind it was approaching 7:30 PM at night in Pontiac! I wish I had taken pictures, but I was in constant conversation with those around me and I forgot. I admit I was somewhat annoyed about the entire thing, but here is the situation for parking in Pontiac. The parking spots are NOT individually marked in any way that indicates you have to feed a meter. The meters are the type that are centrally located on the block and you have to go there and enter your license plate number along with the payment. Think about that. You have to not only remember, but type in your plate number. Here is the other thing. If you aren’t paying VERY close attention you will never know that parking payment is required. The signs that inform you of that are at least 10 feet off the ground and widely spaced (and ugly, but that’s another story). So, unless you pull into your space in a semi-trailer, you probably won’t even notice the signs and be parking illegally. Back to the parking attendant…He showed me the list of cars that had paid for parking. It was a very short list, probably about 5% of the cars that had parked. Bear in mind that Pontiac hasn’t had paid parking for years, combine that with the silly Jack-in-the-beanstalk signs, and almost everyone at Crofoot who parked in the street tonight will get a ticket. Yes, that’s a great way to get people to come to downtown Pontiac, amIright? I haven’t agreed with the former Emergency Manager, Mr. Lou Schimmel, about a lot, but I definitely agree with him that Pontiac did NOT need parking meters yet, and never needs any to be run past 6:00 PM in the evening. If the daytime parking by downtown employees is such a big problem, forget the meters and set a two hour time limit on parking during the daytime, then ticket them. This isn’t rocket science and not everything requires an overly complicated bureaucratic solution that will aggravate visitors to our city rather than welcoming them. Hopefully we are about to witness a new day in Pontiac, the rebirth of the city as the deserving county seat of Oakland County, a future that was supposed to be the city’s around the time the Phoenix Center was named; a much-delayed rise from the mythological firebird’s ashes that has remained mired in difficult circumstances. So at Detroit Metro Mashup we want the citizens of this fair city to take a ride atop the Phoenix with us, to saddle up and see the sites, to help guide Pontiac’s course from the here and now into what follows. 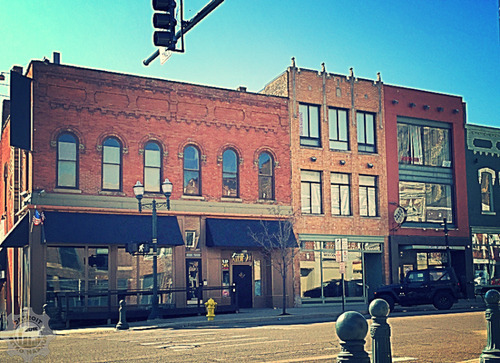 With this blog posting we plan to begin a conversation with the leaders of downtown Pontiac. Our goal is to help the residents understand the plans that are being developed and their potential impacts on Pontiac as a community with diverse needs, interests, and disparate economics. We also want to find out why certain types of things that are obviously bad are not being addressed. 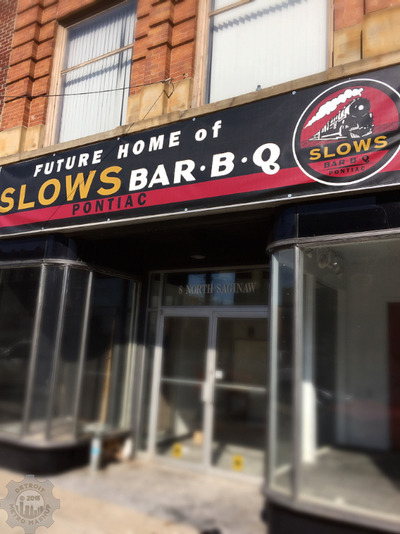 This is not an attempt to focus on the negative, because we expect lots of positive things will come in the responses and in Pontiac’s future, Slow’s BBQ, for example. This is just our gentle push towards openness and community participation through the vehicle of our observations. We will pose several questions and considerations to city leaders and ask them to respond. 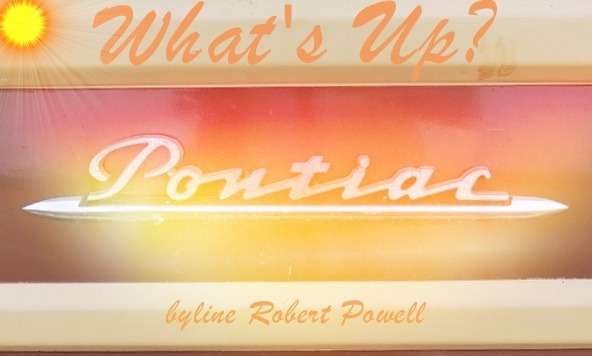 We hope that this discussion, along with the numerous positive things that we know are happening, will give the citizens of Pontiac a new window into their home town and the opportunity to help steer Pontiac’s course. We at DMM have covered quite a few events in Pontiac, MI, over the years and have met or are acquainted with most of the folks involved in the downtown area. There is a huge interest in renovation and revitalization and a lot of hard-working people have been investing time, energy and money, including federal grant money, into the effort. Hopefully a modern version of the city, that reflects the vital Pontiac that so many knew and loved growing up, will be the result. Although we DMM'ers have encountered a lot of the movers and shakers, there are only a few of them that we know reasonably well. We’re definitely not on the inside; we’re more like electrons swirling around the nucleus of the Pontiac atom, with only a slight probability of being in the right orbital at any given time to get the latest scoop. After a couple of years, we’ve finally circled the nucleus enough times to get some questions together. DMM wants to support the local Pontiac-building efforts; I’m a Pontiac resident after all, and supporting SE Michigan is the entire reason for Detroit Metro Mashup. But we’re always noticing things, making observations, keeping track in our heads, and wondering, “Why?” and “When?” and “What might be the repercussions?” and occasionally, “What the Hell,” of various decisions that are both being made and not made by a relatively small group of people. We actually hope to rattle the cage a bit and possibly shake some skeletons out of Pontiac’s closets so they can be buried and rest in peace once and for all. Pontiac was only recently weaned off an emergency manager, who apparently thought it was a good idea to sell off the city to the highest bidders, who were sometimes, allegedly, the EM’s acquaintances. Although seemingly helpful in the short term for city finances, and providing a window of opportunity for the EM to “exit stage right,” as Snagglepuss might say, eliminating the city commons is a really bad way to manage city finances over the long haul and an impediment to those who actually have to run the city afterwards. It’s like eating your seed corn and your milk cow because you are hungry right now. You might be satisfied after you eat them, but you’re going to starve in the future. 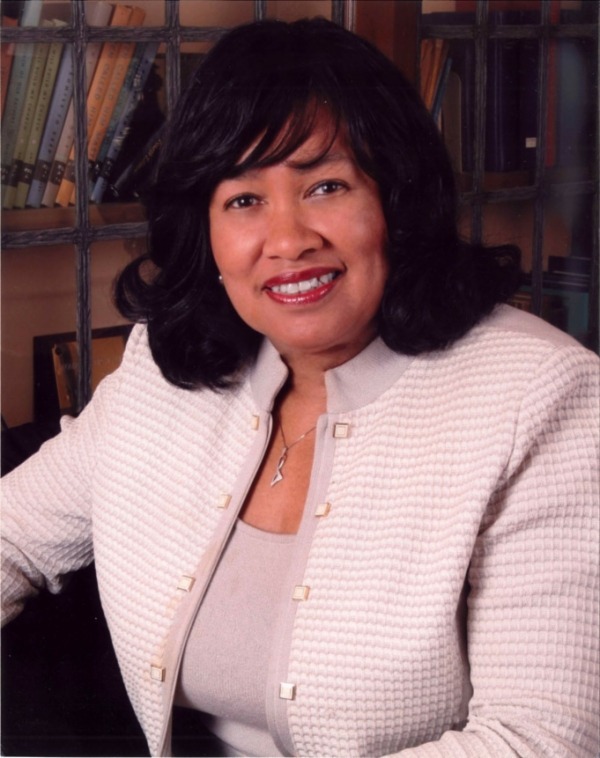 Now we have a new Mayor, Ms. Deidre Waterman, with what might be called “old Pontiac” connections, along with a Pontiac Downtown Business Association (PDBA) that is wielding greater economic and political power with every full moon. It might be useful for those of us who are more out in the fields and mud flats, rather than inside the castle walls, to know how we fit into this picture and whether democracy or its opposite, oligarchy, is in the offing for our city. 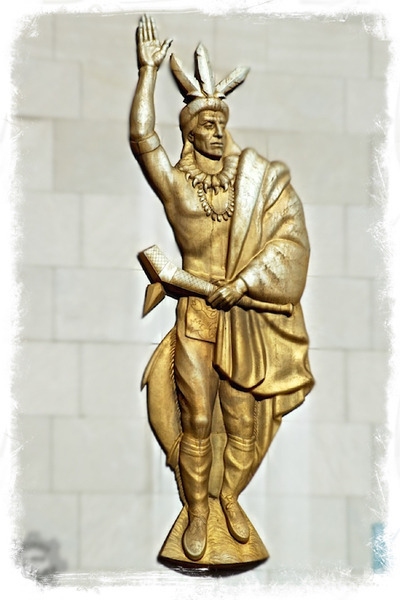 Don’t misunderstand, I don’t think a kingdom, along with associated fiefdoms and masses of serfs, is the plan for Pontiac, but given certain types of economic approaches in tandem with human frailties (greed, avarice, desire for power, etc. ), this is certainly along the spectrum of possible outcomes if certain guarantees aren’t in place. Besides, hey, aren’t we almost there already from the populist perspective? So DMM has decided to begin posting some of our questions and observations in hopes that the people in the know, (i.e., the “Pontiac Inner Circle,"to be stenciled along with a Banksy’s signature rat, above the castle moat if we end up with a ruling class), will reply and help us understand how the process of Pontiac revitalization is unfolding. We’ll invite the Pontiac Downtown Business Association to respond, along with Mayor Waterman’s office, downtown building owners, Pontiac business owners, and anyone else who might have answers and be willing to write up a blog posting for DMM as a response. Also, any other interested persons can comment, via the link at the end of the blog post or by requesting to do so in the blog at social@detroitmm.com. We will largely pose the same questions to each of these leaders, with some possible modifications as their responses come in. We open this conversation with Mr. Glen Konopaskie, President of the Pontiac Downtown Business Association (PDBA) who has been provided an early version of these questions in advance so he can make thoughtful responses. Thank you very much Mr. Konopaskie! Why is it so difficult to get businesses licensed and up and running in Pontiac? It seems to be a problem with getting permits. I’ve heard it over and over again from a diverse number of personality and business types. What exactly is the problem? Microbreweries are becoming really big businesses in Michigan, for example, with huge draws to the local communities that host them. We’ve spoken with former brewers who have told us that the city soaked them financially for the permits so they just gave up. Is this true? As a former Emergency Mayor myself (also appointed by a governor, from a time before Emergency Managers were considered cool), it makes me nervous when permits seem to be nearly unobtainable in a city that is trying to regenerate itself. I’ve heard allegations of corruption. Is that possible? I hope not, but I’ve heard disturbing rumors and it’s not like SE Michigan cities are known for being squeaky clean. Understaffing? Laziness? Those possibilities are a lot better than corruption, but it is still a problem that needs to be immediately managed. What needs to be fixed and how can we fix it? It seems that a lot of buildings are being bought and then nothing happens, other than eviction of the current occupants. For example, the Blue Note was operational, the building was purchased, and now it’s gone; the same for J.D.’s Key Club/Dueling Pianos next door. Whiskey’s still seems idle with nothing in the storefront. We’ve no first hand knowledge, but JD’s and Blue Note were rumored to be evictions. Why? Is the lack of new functioning businesses in these buildings related to the permit issue or is it a matter of no additional investment by the owners until returns from downtown Pontiac are more certain? Is this building squatting? Is remodeling going on? Are we waiting for someone to make the first big investment in a business that doesn’t include federal historic grant money and can remain successful? In Detroit, Dan Gilbert is soliciting businesses nationwide to his downtown buildings. Why can’t our building owners do the same? If they are, please tell us about it! Recently the Oakland Press confirmed that the Board of Education entered into an agreement with Pontiac Investment, LLC out of Southfield (seriously? Pontiac Investment of Southfield?). The plan is to sell them eight empty Pontiac schools at the fire sale price of $800,000. This rivals the ludicrous deal for the Pontiac Silverdome done by the EM. 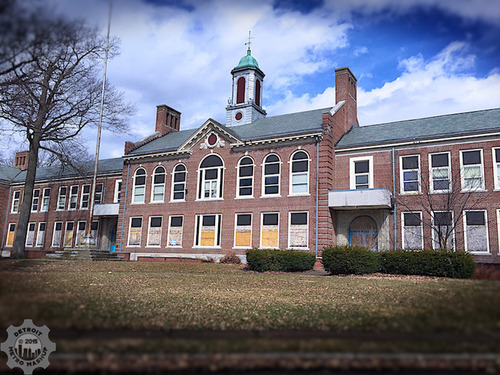 Bear in mind that each of these school properties is about a city block in size and you will realize what a remarkable deal the buyers are getting and just how much the citizens of Pontiac stand to lose. Couple that with, “The Board of Education did not meet directly with the buyers and is unsure of who they are,” said Secretary Caroll Turpin, and you have to ask whether this is any way to revitalize a city or operate a school district. What needs to be done to make certain that entire blocks of the city aren’t shut down by electrical failures, because possibly negligent building owners don’t bother to repair the sewer systems exiting (supposedly exiting anyway) their basements? How was food being even being served at that coney restaurant? Are there no health inspectors? Two of us from DMM ate there once and noticed a very odd, sickening smell surrounding the booth and never went back. The food seemed fine, but the nose definitely was not fine. Now we know what it was, but wonder why it was and what was/is being done about it other than emergency electrical fixes by DTE. When your basement fills with sewage, you shouldn’t be feeding people there; you should probably lock the doors and call a plumber. This is a health as well as an economics problem. Do we have any code enforcement? Does Oakland County? So the parking meters have been acquired and some installation has begun, but what is the overall plan? From what we understand, some sort of deal was made between PDBA and a private company for leasing the meters and their installation. We at DMM have discussed these meters at length and think that meters during business hours (8:00 AM to 5:00 PM) are a good idea, but cringe at the idea of Pontiac operating them in the evenings. If the idea is to lure people in from surrounding areas for evening recreation, both Royal Oak and Birmingham have parking garages with two free initial hours of parking and plenty to offer for entertainment. Good luck getting those people to Downtown 51 Grill, Slow’s, or The Strand if you’re going to charge them for parking after hours. The idea is should be to get people downtown, not dissuade them. Particularly if you expect them to park atop the hillocks of snow that that occupied downtown recently and should have qualified it as a ski resort (see below). What is going to be the hourly rate for the meters and what are the hours that require payment? Will either the PDBA or the city ever own them? How long is the lease? Does the deal with the meter company prevent us from reopening the Phoenix Center parking? Snow removal is a real problem in the downtown area (well, not just the downtown area, but that’s another story). We love going to Downtown 51 Grill for the amazing food, beers, and ginger soda drinks, but during January through March we had to navigate large mounds of snow and ice to get from the street parking to the building. It was slick, treacherous, ice and snow and at least a week old, probably two, likely three. There had been plenty of time for snow removal at any rate. This wasn’t confined to Downtown 51, but was the norm for all of Saginaw Street, with some areas being much worse. Frankly, as a Pontiac resident, I was embarrassed by it. I’m not familiar with the relevant local ordinances, but shouldn’t there be a plan to get parked cars off the street and have a large snow plow make it safe and convenient to actually frequent the downtown businesses? Isn’t this supposed to be part of what our taxes purchase? This relates to the parking meters in a big way; you can’t charge people for that sort of terrible parking. Tarred and feathered parking meters, or meters burned at the stake, would be a dismal site. Status Update? Are we keeping it or tearing it down? If tearing it down, why? There’s an awful lot of parking space in there. If it’s to be torn down, who’s to pay for it? The demolition would likely cost as much as renovation, without the benefits. As idyllic as opening the river sounds, it is going to be incredibly difficult and expensive. At least the Phoenix Center is paid for as it currently stands. Structural Integrity? We’ve heard that the structure’s engineering report was not good. We’ve also heard allegations that the Emergency Manager’s staff edited the original report and made it seem a lot worse than what the professional engineers thought. That doesn’t seem right and one has to wonder about motives. Sure it needs some upkeep, but what is there in Pontiac that doesn’t? The falling parking lot wall on Wayne Street appears far more dangerous and no one seems to be tearing it down. Parking? 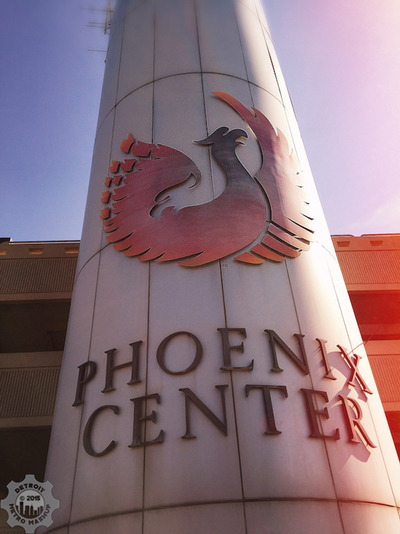 Reopening the Phoenix Center structure for parking would solve the parking problem. Granted, the people to whom the Emergency Manager sold Pontiac’s parking lots might not want that. It does, in fact, make obvious sense why the lot owners would want it torn down and would certainly welcome the support of the former EM, who also evidently wants the Phoenix Center gone. What do our civic leaders think about having these parking spaces available? Concerts? The Phoenix Center is an excellent concert venue for the fans. It is a perfect size for rockers and rappers who might be past their arena prime, but who still have big, faithful followings in the area. We should have had concerts there every Friday and Saturday night, perhaps some weeknights, for the past several summers. We saw Rick Springfield, The Gin Blossoms, and Rare Earth (twice) play on the big stage. Other Phoenix Center concerts have included Big Sean, Gwen Stefani, Rick Ross, Chaka Khan, and En Vogue. The Crofoot is successful with concerts, why not resurrect the Phoenix Center? Again, some sort of agenda seems to be screaming from behind the concrete walls. Seriously, was the deal for the Silverdome the best we could do? A shaky and alleged friend-to-friend pact for probably 20% or less of what the structure and surrounding property was worth and now, according to rumor, Pontiac might have to re-inherit it? The Silver(no)dome is now a deflated broken structure with the only appurtenances that had any memory or salvage value, the seats, stripped out. What is going on with these sweetheart deals that continue to harm the public interest? These are a big joke and one of the important reasons why Pontiac has so many financial problems. One percent of your income no matter how rich or poor you are goes to the City. Are you kidding me? I’m not opposed to income taxes in general, but this one is ludicrous. Why would anyone move here if they knew this in advance? In fact, the only people with nothing to lose by living here are those without incomes. Is that what we want? There are cities with lots of actual services and highly active downtowns that do NOT have this regressive tax that hurts the poor more than anyone and reduces their spending ability, resulting in less shopping at and support for local businesses. Frankly, had I been aware of this (along with the next issue to be addressed, home and auto insurance rates in Pontiac), I probably wouldn’t be living here. Honestly, why would anyone? My recommendation is to kill this regressive tax right away and put up billboards touting that fact along with Pontiac’s reasonable housing prices. Advertise it on the radio, television and internet. Build our tax base through population increases, attracting tech businesses, and purchasing power rather than the current failed approach. How about we let people vote on repealing this tax? Any comments or other suggestions? My cost is several times as much for home insurance and at least twice as much for auto insurance when compared with our neighbor Waterford (during this writing, it went up again). This, along with the Pontiac income taxes (see above), make Pontiac far less attractive than it should be. Seriously, one can live almost anywhere in the surrounding area just as cheaply, probably cheaper, and that is not what Pontiac needs in order to return to glory. Granted, home prices are good here, but are far less good when everything else is factored in. My suggestion? Either the city should negotiate with the insurance companies to get us out of “red zone” status or we should enter into some sort of deal with an insurance company where if we get an agreed upon number of people signing up they guarantee us rates comparable to Waterford’s or better. If favorable, we could then promote our changing crime rates, our service by a regional fire department, normal insurance rates, and so forth to draw people back to town. There are other possibilities that I can imagine, but I’d like to hear some ideas from the city leaders. Just where is all the local tax money going anyway? At least patch the potholes and snow plow the major access roads in the subdivisions after downtown is completed. Run the street sweepers. If we can’t get to work, we can’t pay the Pontiac taxes! My guess is the Governor’s sales tax hike is a nonstarter; as of last night a poll had it something like 66% statewide against the tax. 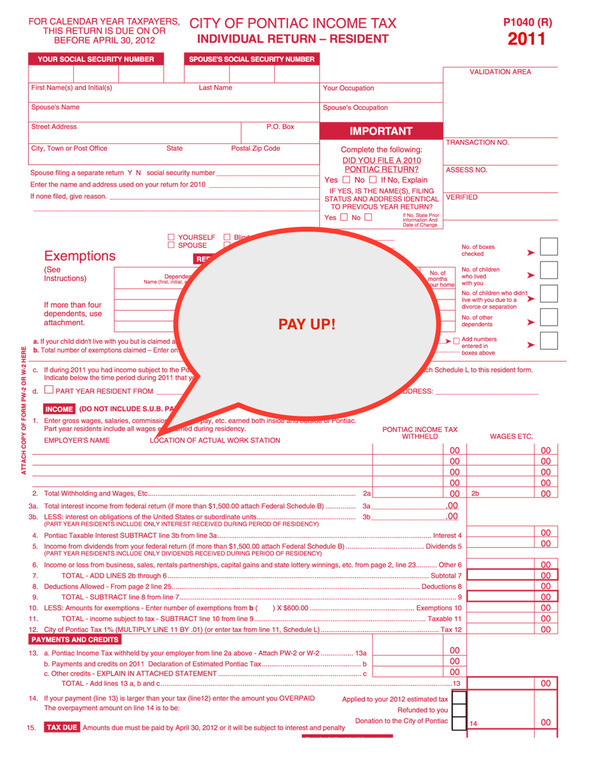 Everyone is already wondering where all the tax money currently collected is going. I personally never lived in such a highly taxed state with so few services, so I don’t know where it goes. We need to figure the city road situation out; any ideas? One never knows when going to downtown Pontiac in the evening (too often also during the day), whether the business you were going to frequent is even open. This is an annoyance when one lives in Pontiac and a major aggravation for people who might drive in from Rochester, Royal Oak, or further. If you own a bar (or grill), please stay open until midnight! Perhaps you’ll develop a following like…you know, a neighborhood restaurant/bar! You don’t need to serve food after 9 or 10 PM, just be available for a place to hang out and have a beer or drink. Reliability goes a long way towards patronage. Also, don’t close on holidays when every other restaurant bar, tavern, speakeasy, and gin joint is open making money. Coordinate with concert venues, such as the Crofoot Ballroom; think what twice weekly summer concerts at the Phoenix Center could do for business! If you’re a clothing store, post your hours and keep them. If your sign says you are a meat market (and you once were), keep fresh meat and seafood for heaven’s sake. It takes a while to get people in the routine of shopping at your market, but some among us were spending money on fresh foods every week at a certain location until the fresh meat disappeared. Now we seldom shop there for anything other than beer, wine, and the admittedly outstanding sandwiches. Please add back at least smaller quantities and varieties of meat; possibly team up with and jointly advertise with some Eastern Market providers. There is no place in this area nearer than Clarkston to get high quality meat and we are heading into BBQ season. This should be a huge selling point in our area if persistent and consistent. It just takes a while and a certain critical mass of good businesses to get the outlying populations into Pontiac; that and a dependable business district that is clean, with open shops and restaurants. That critical mass will never be achieved if the hours and advertised products aren’t reliable and available. This is Economics 101, definitely not rocket science. OK, this was as much of a personal rant as a question, I admit it. So, poised as a question, what can you do about it? What are you willing to do? Drive through any of the surrounding villages, townships, and cities or use your memory of past trips there. Notice anything about the businesses? I do. They have signs, proper business signs that are displayed proudly and invitingly, not crayon on art paper taped in the windows. Perhaps I’m forgetting someplace, but I can only think of three or four businesses in downtown Pontiac that have good signage, notably Downtown 51 Grill and Lafayette Market, so kudos to you. Can anything be done about this? Pontiac needs to look like a business district, not a preschool art class. Don’t we have code for this sort of thing? Continue our drive in your memory through the outlying suburbs. Picture Pontiac in the right side of your imagination and, lets say, Birmingham in your left. Besides the previously discussed signs and the differences in building occupancy, what else do you see. That’s right, Birmingham doesn’t have trash scattered everywhere. This is an incredibly inexpensive thing to take care of if each and every building owner/manager would just get out there and pick up the trash around their businesses. Perhaps organize a small group to pick up the trash from the common areas once a week, such as around the bus stop near the Phoenix Center. It’s pretty clear that the city government isn’t going to do anything about it, so everyone else needs to pitch in. Ideas? 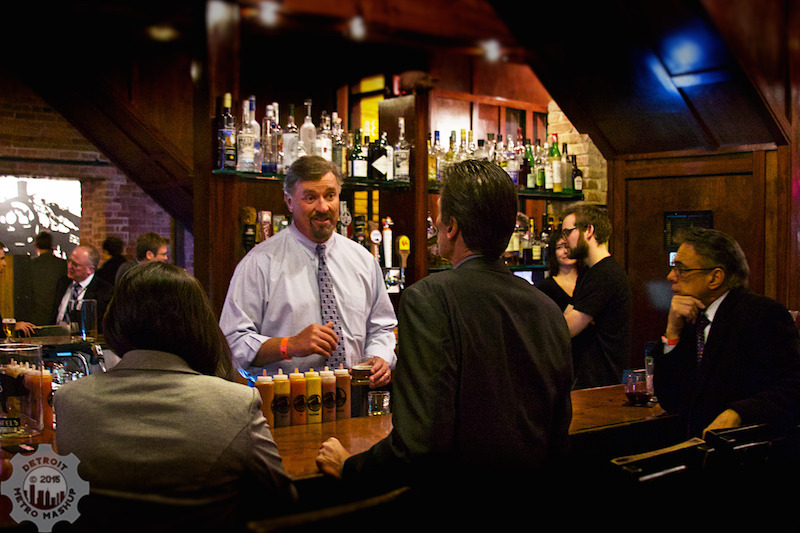 Many, if not most, downtown business owners don’t live in Pontiac. This might be no big deal for business owners in a vital, thriving town, but it’s really an issue for Pontiac. We have unique problems and it would be a real tutorial for those who own businesses here to reside here and grow their experience about the actual impacts of Pontiac life. I challenge each and every one of you to move to Pontiac and show your real level of interest in this city. I do know that our first respondent, Mr. Glenn Konopaskie, does live here, so kudos to him. What do you get when you combine some of the best BBQ you’ve ever eaten with one of the worlds great automobile companies? 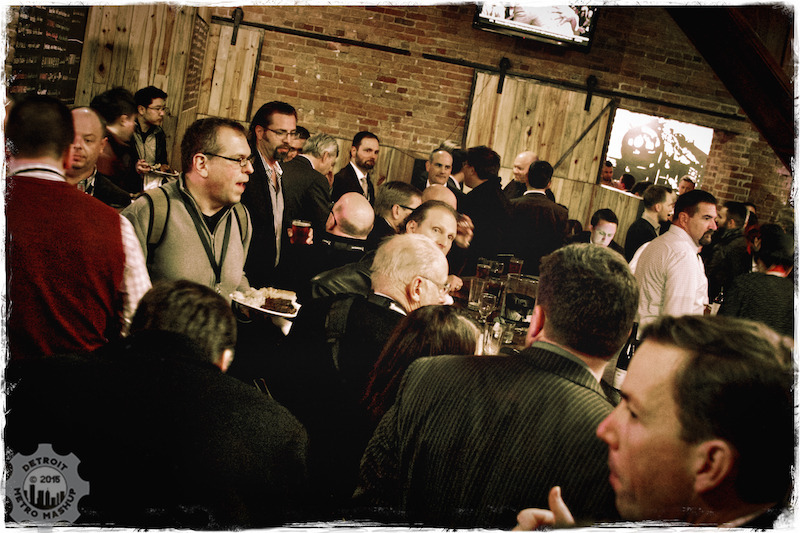 You get the Hyundai #NAIAS Media Dinner at Slows Bar-B-Q in Detroit Michigan. As a media outlet that covers the North American International Auto Show every year, Detroit Metro Mashup really appreciates this great kickoff event for the media preview days at the NAIAS. This year we decided to make certain that Hyundai, Slows, and the NAIAS all know about how much we enjoy and anticipate this dinner. Not only is the food first rate, but Slows has one of the best selections of beer, including microbrew beers, in SE Michigan, along with a fully stocked bar. Another great thing about the Media Dinner is that it is served buffet style. 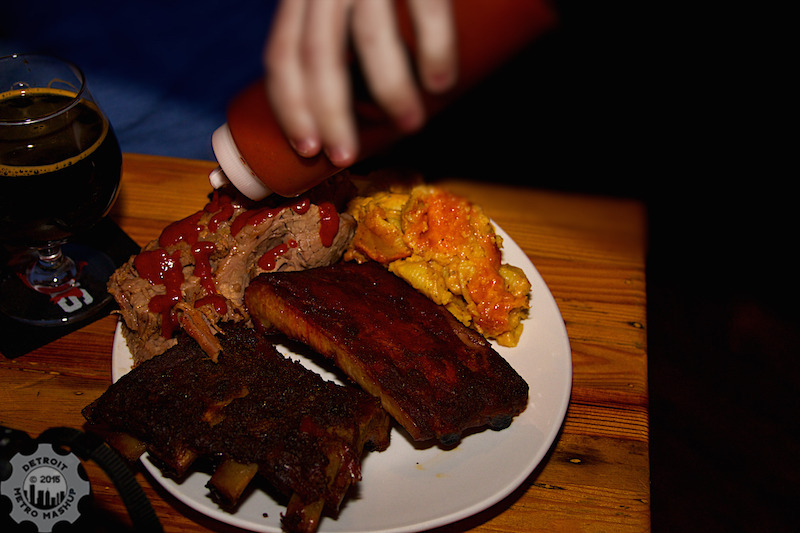 If you’ve ever been to Slows, you probably know that when you order a Reason sandwich with fries, or a full dinner of ribs, you get so much food that you are stuffed. 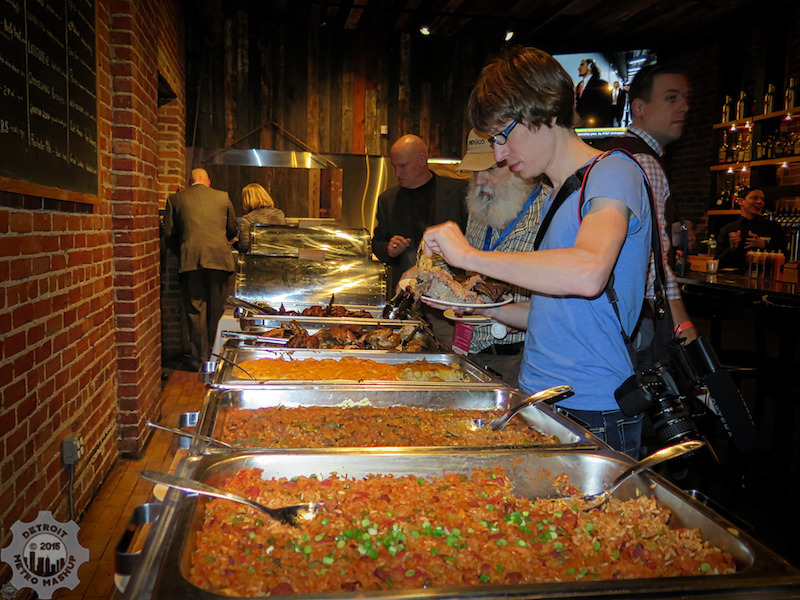 With the Hyundai buffet, almost everything that you would normally purchase at Slows as a single meal is available for sampling. You can try a few baby back ribs, some pulled pork, some mac and cheese, grab a few dry rubbed ribs, scarf up some BBQ beans, slather some beef brisket in one of their many sauces…and then go back and load up again on your favorites. 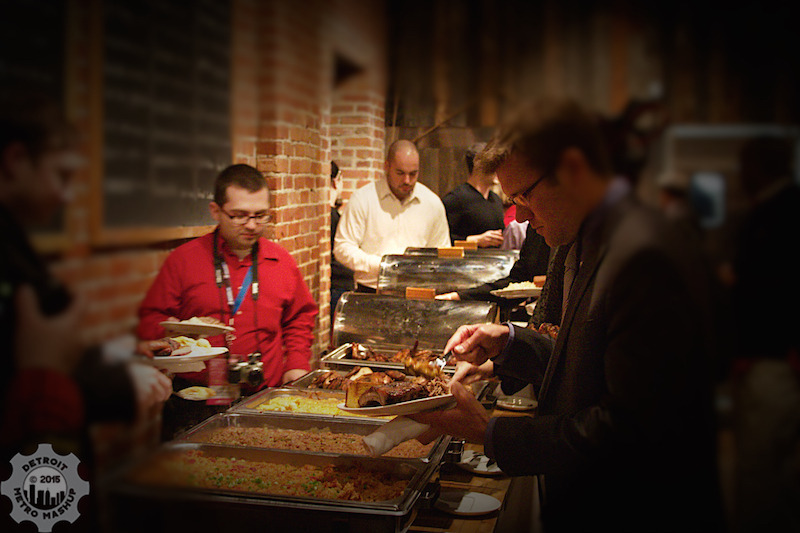 Just above is Jason Rzucidlo from AmericaJR.com, enjoying the buffet and, just below, DMM’s own Shaun Kotlarsky doing the same. Check out the good-looking food! And it tastes as good as it looks. 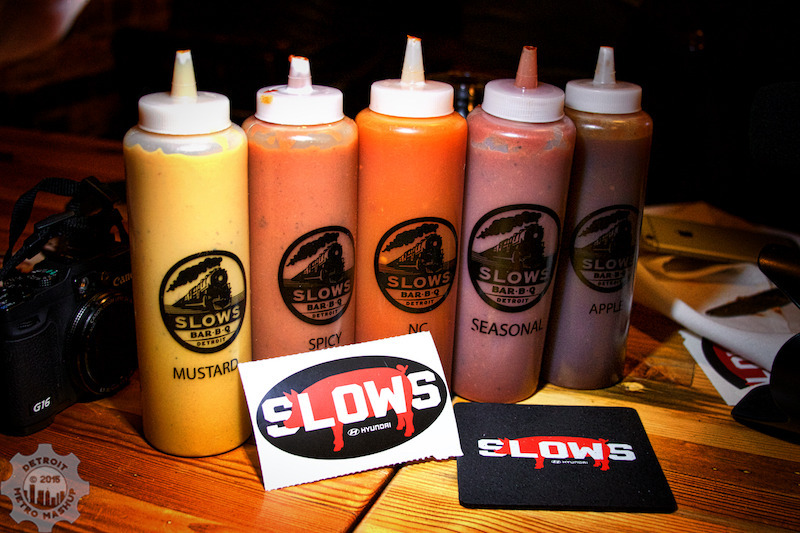 We’re not taking bribes to promote Slows and they don’t advertise on our website; we were Slows fans before this event ever started and, frankly, we can’t wait for them to open their new restaurant in Pontiac! Not only is the food and drink palate-pleasing comfort food for media mavens, this is an event where said social lubrication results in lots of introductions, photography discussions, and opportunities for media members to get to know one another, develop friendships, and germinate potential business opportunities. In the past, DMM has met representatives from Hyundai at the event, had dinner with and recommended beer to them, and had some fantastic discussions about cars, publicity, media coverage, and the logistics associated both with what they do and what the media have to accomplish to cover such a major event. We didn’t run across that group at the dinner this year, but we will never forget their hospitality. In any case, I am confident that we at Detroit Metro Mashup can speak for all the media outlet attendees when we say thank you to both Hyundai and Slows for putting on this delicious and fun event every year. We’re already looking forward to 2016! 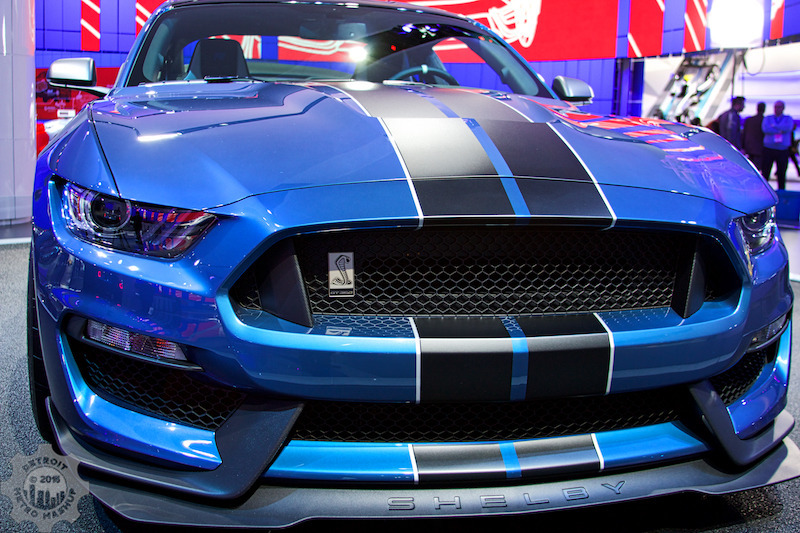 Welcome from the North American International Auto Show! Detroit Metro Mashup’s preview photos are being processed and uploaded as I type this blog! I’ll add in the URL to our massive photographic and video coverage when it becomes available, later in this post. We started the week on Monday, when most of the manufacturers were still in mid-setup at the Cobo Hall Convention Center in Detroit. Setup is an impressive operation, because most of the displays are conceived in complex and beautiful tech-architectural styles that have important structural and display requirements. Detroit’s incomparable union workers do a great job working out the details of these setups and getting them assembled. 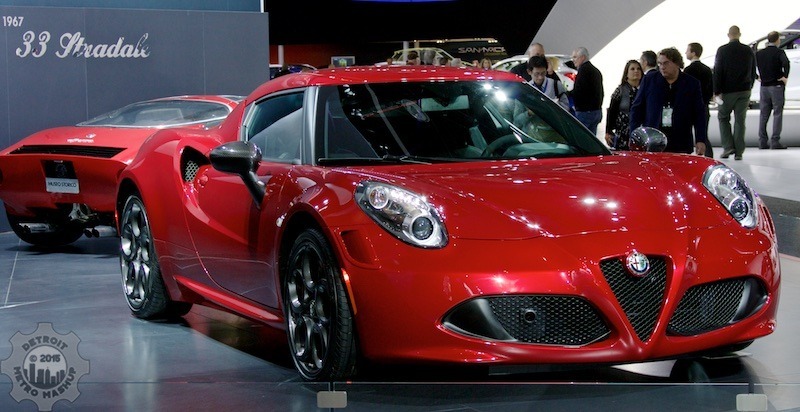 This year we have a bit of a focus on Italian manufacturers due to FCA’s (Fiat Chrysler Automobiles) release of Alfa Romeo models into the American marketplace, including the Alfa 4C and the Alfa 4C Spider. We have a lot of good photos of Alfas, Fiats, Maseratis, etc. However, we gave every automotive company a fair shake while they are giving the public some amazing cars for this year and beyond. 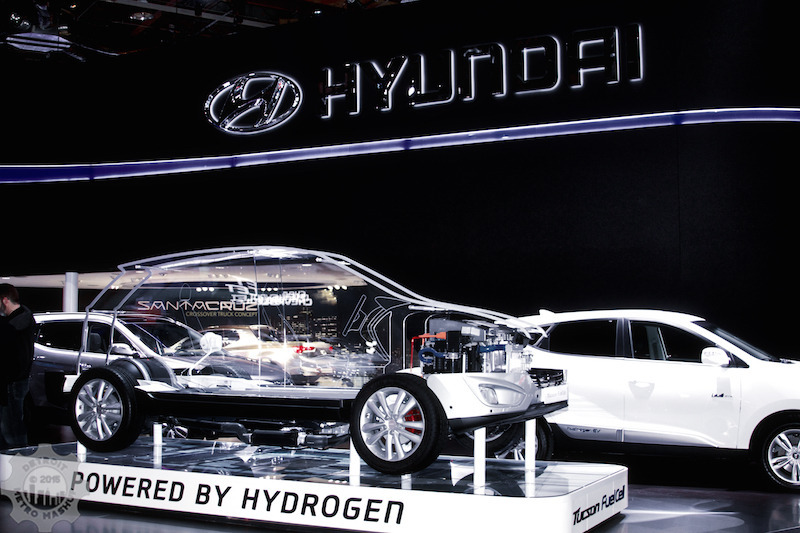 Even with the drop in gas prices, electric vehicles and fuel cell autos dominated large areas of the floor; thinking about operating a car on hydrogen likewise dominated a lot of this writer’s imagination! It’s been talked about for years and now it seems to be happening. Apparently a lot of the technical hurdles have been overcome, because “apparently functional” fuel cell cars were in attendance along with some awesome cutaways. We are in a major transitional stage of auto design, materials, and manufacturing. With new Federal CAFE fuel standards looming on the horizon and global warming due to carbon dioxide emissions asserting itself ever more conclusively (2014 was the warmest worldwide in recorded history), manufacturers are rapidly assessing new materials, new power trains, and all types of alternative fuels to meet the needs of the very near future. But…POWER LOVERS NEVER FEAR! There were boatloads of high performance, gasoline powered automobiles at this auto show. If you have a craving for horsepower, you could satisfy it at almost any manufacturer’s display area. In closing, Detroit’s North American International Auto Show is the pièce de résistance of all auto shows. It has the highest tech and the most muscle of anything anywhere. When you combine that with the amazing design work that is coming out of SE Michigan and finding its way into these cars, this show is something you should not miss. 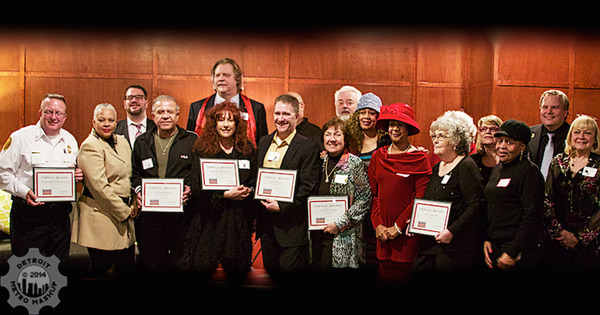 Get down to Detroit from January 17 through 25, 2015, and enjoy this experience. If you’re not convinced, go check out our photos from the media preview week at http://detroitmm.com/events/2015/01-North-American-International-Auto-Show/. We realize there’s been a long delay in posting to our blog and, more recently, getting events up on the website. We are dedicated to providing quality coverage of SE Michigan happenings, but we are a staff of three, subjected to the same quirks of life as everone else. During the summer, we were were constantly busy covering and publishing events, which is awesome fun, but also very time and energy-consuming, hence no blog; the event projects took precedence. We did a pretty good job of keeping up with the photo processing, writing and posting but, as the fall fell, we all got some sort of viral/bacterial/alien infection that hung us all out to dry for weeks. It’s hard to publish when all you can do is cough until you fall asleep. 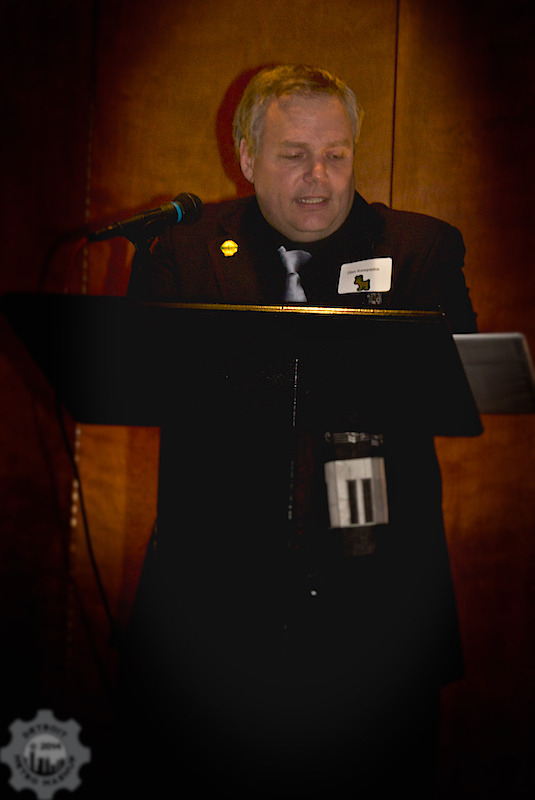 We still managed to attend events, with the assistance of over-the-counter meds, but we fell behind publishing them. Now all that being behind is just appearing in the rear-view mirror. In the last couple of days we’ve posted our coverage of Dally in the Alley and the Open House at Selfridge, featuring the Navy’s Blue Angels. During the next few days we’ll finally be getting our photos from Baconfest Michigan and D’lectricity Detroit onto the website. So stay tuned and don’t give up, because we won’t give up on the Metro Detroit area. You can go check out our Dally and Blue Angels coverage if you like fun and exciting events. We know you’ll look at the photos, but make sure you also watch the videos. Here are some sneak peeks of photos we’ll be posting for Baconfest and D’lectricity Detroit. 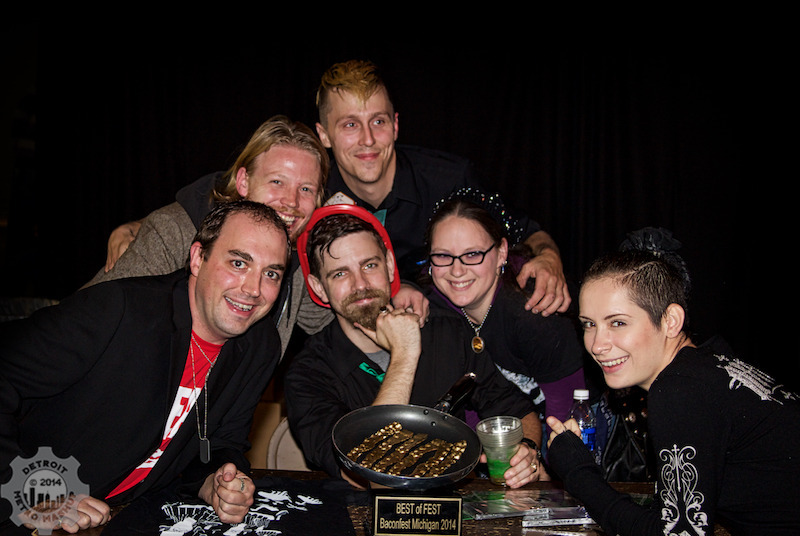 Matt Peach and the Stone Clover Band pose with the Best of Baconfest 2014 trophy. 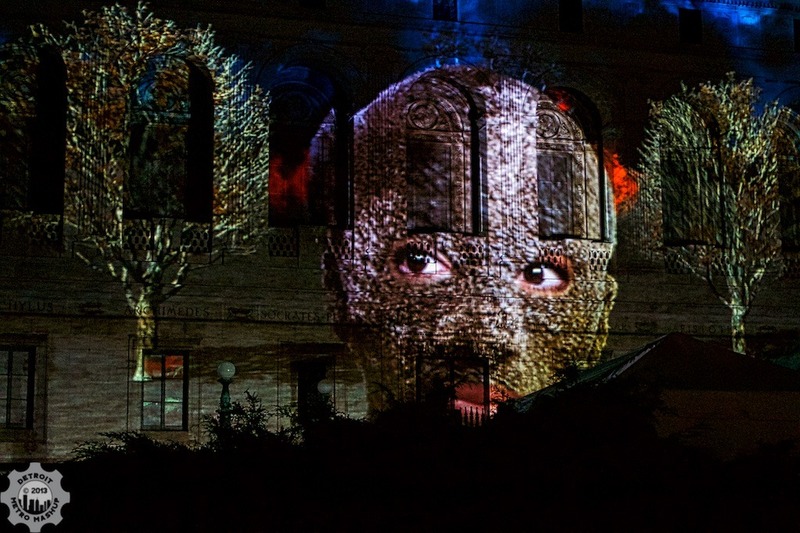 D’lectricity video projected on the Detroit Public Library.